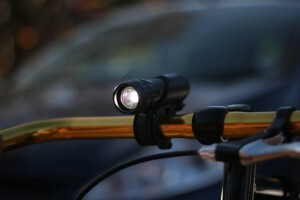 Earlier on this year we decided to carry out a comparison test of a cheap, £5 ebay bike light versus a £200 Lumicycle LED3Si. 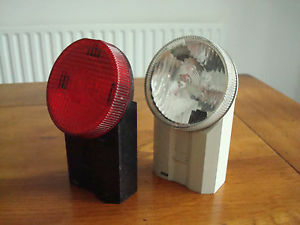 Unsurprisingly there was a big difference between the two with the cheap light virtually useless at lighting the road and only offering minimal visibility to oncoming motorists. 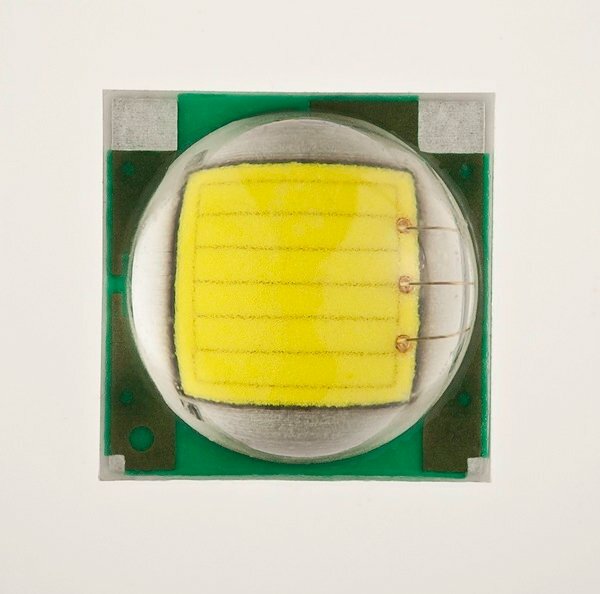 Now we have expanded the test and we are looking at a new generation of LED lights, commonly referred to as Cree LEDs, named after the manufacturer that pioneered the technology. Website like Amazon and ebay are full of these lights, often imported from China, and they normally use one of two emitters. The older Q5 type devices are less powerful. With an input of 1 Amp (1000mah) a maximum of around 220 lumens can be achieved. This is much better than your bog-standard LED and provides a lot of light but at these levels your battery drain will be much higher of course. The new T6 emitter delivers almost double the maximum output at 1 Amp with around 390 lumens. So for the same amount of power you can have a light that lasts twice as long, or the same length of time with double the brightness. 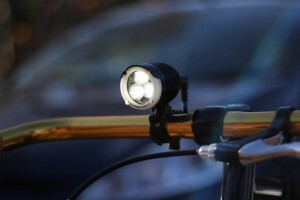 We are pitching these lights against the class-leading Lumicycle Freeway to see what a professional light can offer over these budget choices. As well as the choice of emitter, the battery makes a big difference to both the total power and run-time but also the shape and quality of the light. Quality of materials fitting is important too and we are considering all of these factors in our review. 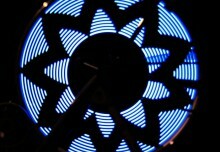 Light technology is moving on rapidly with new, brighter, more efficient lights coming to the market every year. Prices are dropping too with cheap Chinese imports available through many internet retailers. Battery technology however doesn’t seem to have moved on as quickly. The golden rule with batteries is normally, biggest is best and we were initially surprised to see such high capacity ratings on relatively small batteries. Quality may have something to bear on the results too with the more expensive Lumicycle battery pack outperforming the cheaper units. Power is impressive from the cheap units although this power is often wasted by poorly designed beam patterns. The Cree T6 is very bright but the pattern is poor and could even be dangerous if adjusted badly. Aftermarket beam spreaders are available which clip onto the front of the light and this indicates a significant design flaw in the original unit. If these work as stated then the output will be lowered, which is not much of a problem, and the lights will be more suited to urban use. 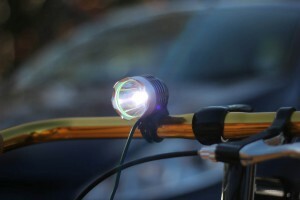 Nevertheless, you can’t ignore the incredible value offered by cheaper bike lights. Compared to the old incandescent cycle lights of the past things have moved on a lot. Having a separate battery pack is very useful as it means no fiddling around with batteries and for the money the Cree T6 light is very good – if you can forgive / fix the beam pattern. 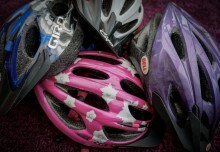 They are certainly well suited to off-road cycling – if you can get them to stay in a fixed position. The frustrations with the design of the cheaper lights really are quite bad. 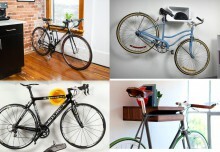 With a little more thought and testing you could probably come up with a great light for £30. And this is where the argument for more professional lights comes in. Yes they are a lot more expensive but if you want something that really works then you have to pay the premium price. 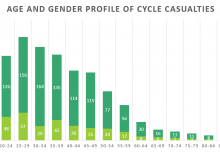 Cyclist Risk Profile – Who?